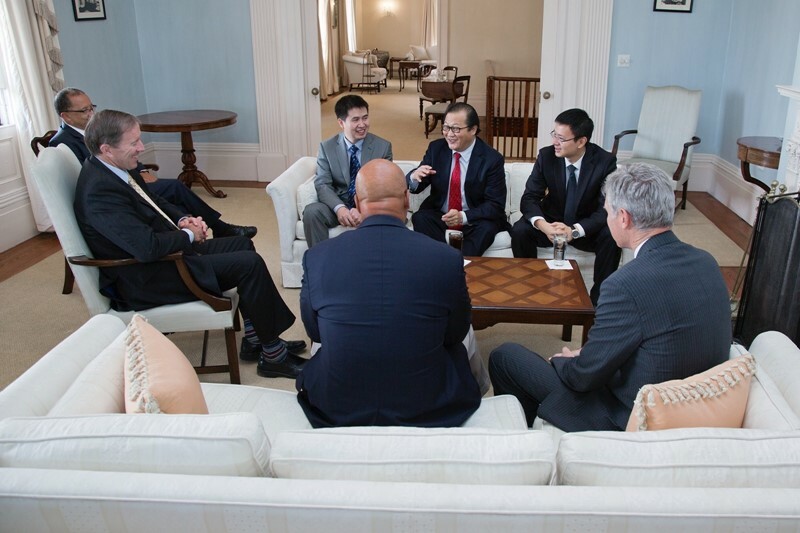 Premier Michael Dunkley recently welcomed to Bermuda London Embassy based representatives from the People’s Republic of China. The Chinese delegation was on Island from November 27th – 29th. The Minister Counsellor, Jin Xu of the Economic & Commercial Counsellor’s Office was accompanied by First Secretary, Mr. Huang Hongyong and Third Secretary Mr. Peng Zhang. 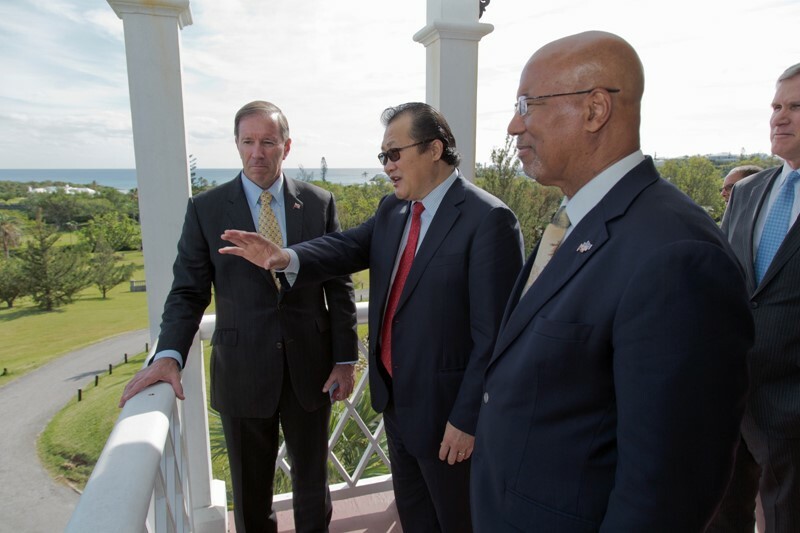 “The purpose of the delegates’ Bermuda visit was to establish greater cooperation with leading financial centres such as Bermuda and to discuss forging greater tourism ties,” a Government spokesperson said. 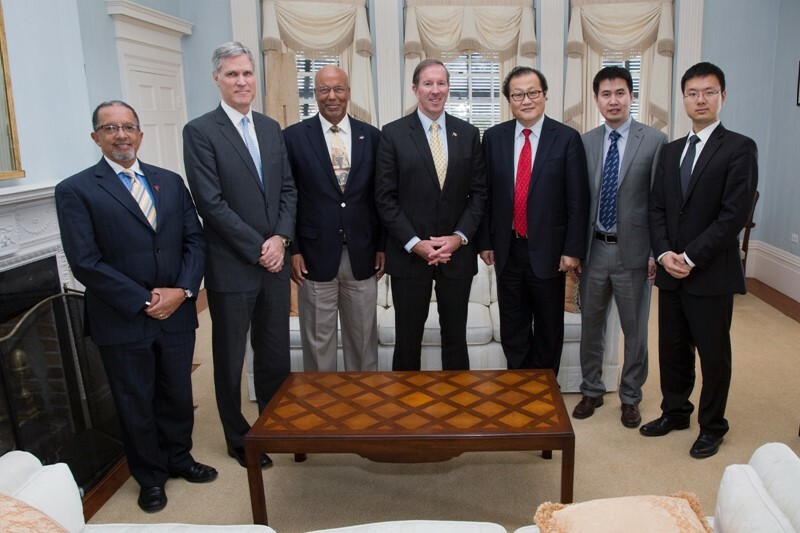 In addition to the special luncheon, the Chinese dignitaries also participated in a full day of appointments, which included meetings with, the Minister of Economic Development, Dr. Grant Gibbons, the Bermuda Tourism Authority [BTA], the Association of Bermuda Insurers and Reinsurers [ABIR], the Bermuda Business Development Agency [BBDA] and the Bermuda Monetary Authority [BMA]. They closed out their day by attending a dinner at Government House which was hosted by the Acting Governor, Mrs Ginny Ferson. 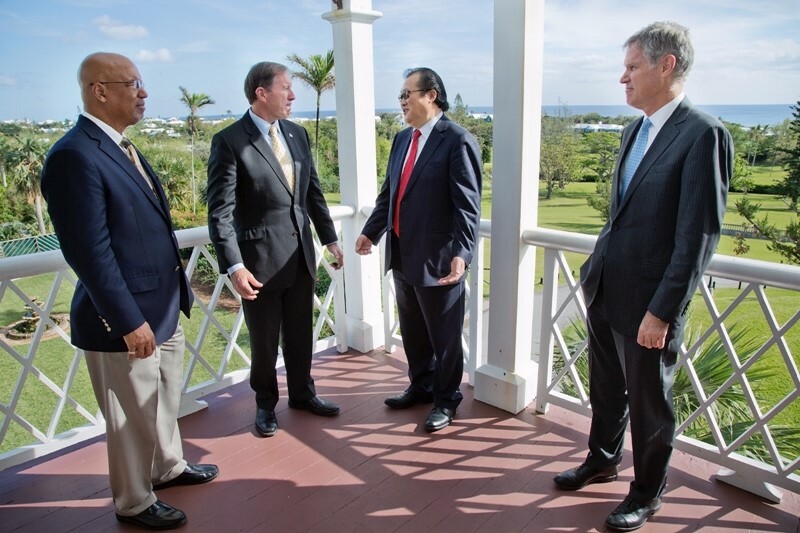 Following their visit, Premier Dunkley termed their discussions as “fruitful, encouraging and productive”. Opening doors. Nothing bad about that. Well done. Maybe next time we can impress them with a new airport and hotel development. Point Boy open you’re big mouth and tell the leader to call his election so I vote on his well done! I was thinking… should I comment…. Nada. May god bless America !! I think that the Chinese actually wanted the wigurs back so they could put some cracks on them. Whatever, the Chinese have a reputation for building hotels and airports throughout the world now so perhaps we can get their help. Bahamas just rejected China’s request to fish in their EEZ – hope that idea isn’t being brought to the table here!